Done! 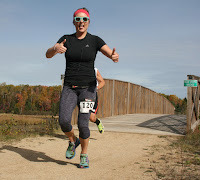 I absolutely LOVE the Three Eagle HalfMarathon & 5K, and can confidently say that it is one of the best events in the area. Organization is the most important part in making a race successful and fun. It means that there are adequate porta potties, aid stations, smooth packet pick-up, safety measures taken, and things run flawlessly. Each year we have worked to further improve, and based on survey results, we are hoping that this year we go from an A- to A+! What else do participants care about? Course: we utilize the Three Eagle Trail for a point-to-point course that is mainly crushed limestone and winds through the woods for miles on end. We have our signature pumpkin mile markers to help count down the miles along the way (we are the same date as the annual Pumpkin Fest in town). 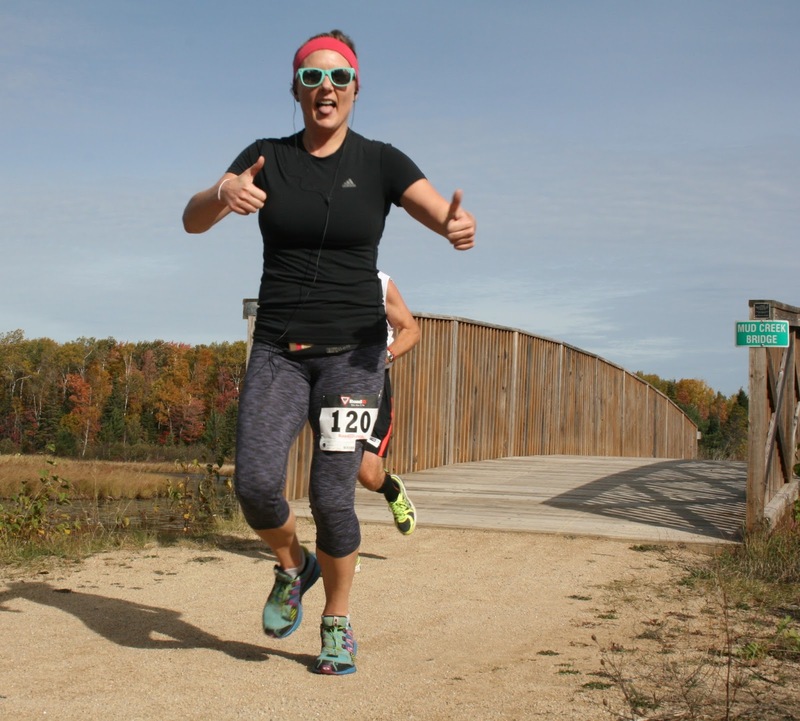 Date: Our race takes place mid-October for a cooler half marathon, but starts at 10am so it is not too chilly. We have had ideal weather the past 2 years, though we know that can easily change as we are in the unpredictable Northwoods of Wisconsin. Being in the fall, our Trail is also made even more beautiful by the fall colors. Last year we had peak colors for our race. Price: We have one of the most competitively priced events around. Swag: Who doesn’t love good race swag?! Our participants receive long-sleeve performance shirts. I have received too many tech shirts that have short “long” sleeves. What is with short and wide shirts? I don’t know either, so we use a brand that is long in the sleeves and body. They run large, so we encourage participants to order down a size. We have custom made half marathon finisher medals. We made the mistake of using the same design for our second year, so we have completely redone our medals this year for something exciting, new, and unique! We have also gone a new direction with our Awards, and we will be giving out customized glass mugs this year! While we are currently listed on active.com, you can find many other cool local events using Eventbrite.com as well. They include more than just running events, but also free events can be listed on it for promotion, as well as being a site that sells tickets to events. Putting on an event is a big task, especially in the first years as you work out the kinks and find out what works and attracts participants. I have learned an incredible amount and have only utmost respect for successful race directors, as I now understand the immense amount of work that goes into it. Check out what is in your area, and consider being a apart of the ThreeEagle Half Marathon & 5K coming this October (price increases August 1)! We are confident it will be our best one yet!